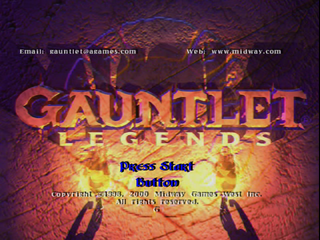 Gauntlet Legends is a sequel to Gauntlet, released among other consoles for the Sega Dreamcast. Main article: Gauntlet Legends/Magazine articles. Gauntlet Legends can use up to eight save files per VMU which saves game progression, collectibles and experience earned for an individual character.